QR codes have started to pop-up in lot of places such as store display, business cards, online ads, postcards etc. Whether QR codes are here to stay or not but from the measurement perspective they do present a huge opportunity in measuring advertising's (particularly offline) effectiveness. If you are one of those marketers who have embraced QR code or are thinking about it or just curious to know how QR code measurement works then this post is for you. You won’t be able to measure the number of impressions of the QR codes if they are distributed offline. What you can measure is how much traffic those QR codes are driving to your site or to your pages on 3rd party sites like facebook page, twitter account etc. Measuring QR codes that sends user to your site is as simple as campaign tracking. Just add the campaign tracking variable to the URLs that you have in your QR Codes and treat it like any other campaign. 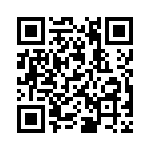 Then you can use your campaign reports to see how much traffic QR codes are bringing and how valuable that traffic is. (Note: The tracking code, that you should append, depends on your Web Analytics tool. Now I can use the campaign tracking in Google Analytics to see the stats on my QR code advertising. Since you won’t have your own web analytics tool running on a Facebook page you can use a URL shortener like http://clop.in or http://bit.ly (or better yet get a URL Shortener for your own domain with built in analytics from http://clop.in) to shorten the destination URL and then build a QR code using the shortened URL. This way you can use the built in analytics functionality of the URL shortener. Rather than sending user to the facebook page, via my QR code, I created a short URL using http://clop.in, http://clop.in/PByJfv and then used this shortened URL to build my QR Code. Now I can use the analytics reporting of http://clop.in/short-url-clopin.aspx?utm_source=qrcode&utm_medium=blog&utm_campaign=qrcodeblogpost to see the stats on my QR code advertising. To Track phone numbers, that get dialed when someone scans a QR code, use a unique phone number that you have tracking for. If you don't have unique phone number then you can use 3rd party services likes Marchex to get a unique phone number for each QR code that you publish. we believe that QR codes will make the connection between offline and online worlds easier. That’s why we created our QR code generator with social features – YouScan.me - http://www.youscan.me. You can add all your info like Facebook profile or fan page, twitter, youtube, etc. and connect with others. I love QR codes from both a tracking and consumer perspective. I don't think they are dead or dying - I think they are just picking up steam. Excited to see them hit the masses! Thank Anil - great post as usual. Is there a way to gather the mobile phone number for a "text back" with QR codes? We also think QR codes are cool, but they actually have a few important limitations compared to text-based codes, like O-Codes (disclaimer: I am the CEO of O-Codes). We have been enamored by the technology behind QR codes, but created something we think is simpler for our clients to use, and allow them to follow up with interested customers via SMS. So they not only get the analytics but they get captive leads for people who are specifically interested in particular products. O-Codes also work well in settings that are trickier to use QR codes (TV, radio, billboards, magazines in the context of product mentions inline in text, catalogs where there is not enough to room to use a QR code with every product). In the end, we love the fact that marketers and smart bloggers are educating the public about ways to connect the offline and online worlds together, and extend analytics to traditional media. Usage of QR Code is increasing day by day. Tools like http://www.qrspider.com allows you to easily add a QR code to your website.